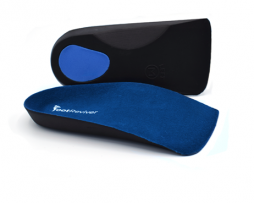 How can orthotic insoles help cure my foot pain? Walking, every day physical activities and sports can cause inconceivable strain on bones, ligaments, muscles and tendons. These various strains can result in pain, if everyday activities because you pain then it may be time to consider using orthotics to help alleviate it. Orthotics or orthopaedic devices are used to facilitate optimal biomechanics by either correcting or compensating for parts of the body not functioning properly. Biomechanics is all about correct posture and optimal efficiency whilst moving, optimal efficiency is the natural movement of your body that minimizes pain and wearing of ligaments, muscle and bone. Orthotics can assist with movement and aid in the rehabilitation and prevention of injury. For an example on how biomechanics work consider poor alignment caused by flat foot. Poor alignment will mean people lean forward whilst stood up, this can cause back pain. You can see how problems in one area of the body can cause pain in another area of the body as you now have a bad back as well as foot pain. All this could have been corrected by orthotic insoles with an arch support, the arch supports the foot and causes optimal realignment correcting back strain and relieving pain in the back. 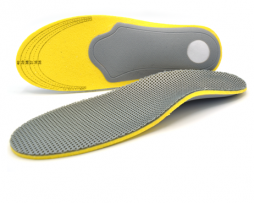 Orthotic insoles reduce stress and fatigue on the feet. 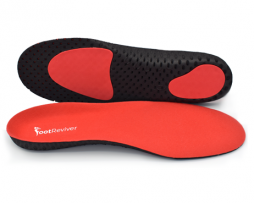 Orthotics increase motion control and also correct body alignment. The shock absorption properties of orthotics minimize problems that occur due to the hard flat surfaces typical of modern civilization. NuovaHealth stock all kind of orthotic devices aimed at improving various conditions as well as specially designed for special situations. We have sports insoles, arch support insoles and insoles for plantar fasciitis. Orthotics don’t have to be expensive either, we source the finest orthotics and make them available to you at affordable prices. We have also included our money back guarantee – meaning you can try our orthotics and if they are not for you, you can return them within a year and get a full refund. How is that for a guarantee? 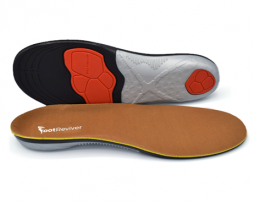 What orthotic insoles to buy? 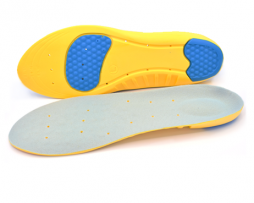 How can these insoles help if you have overpronation? Overpronation is when the foot rolls inward too much when your foot flattens during gait. When overpronation occurs it can lead to excessive strain and pressure being placed upon the foot and lower limbs. Overtime this overpronation can cause damage to the ligaments found in your foot and cause injuries such as plantar fasciitis to develop. Wearing a pair of orthotic insoles that realign and support your feet properly when you walk will help to reduce overpronation in your feet and help prevent as well as treat a number of injuries affecting your feet and lower limbs. 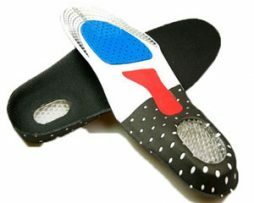 These insoles have been specially made for people who suffer from overpronation. They work by using orthotic support that helps to adjust and realign your feet properly when you walk helping to stop your feet excessively pronating when you walk. This helps to prevent unnatural load and pressure form damaging your feet and causing overuse injuries such as plantar fasciitis. Made from highly shock absorbent EVA material to prevent shock from causing damage to your feet and lower limbs. Perfect for runners wanting extra support when they run. 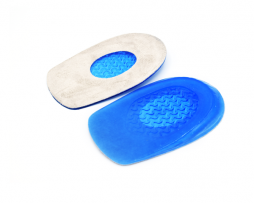 Heel pad and cup helps support and prevent damage to your heels. 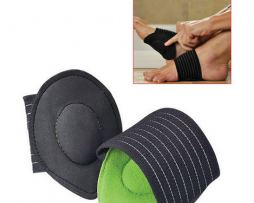 Built in arch support relieves tension and pressure off your arches helping to combat against arch pain and strain. Our 30 day money back guarantee means that you can return them if they are not right for you! Remember, we are always more than happy to help. If you have any questions regarding our insoles or just need helping picking the right ones for you then please dont hesitate to get in touch with us.